Jenson Button: "Turn Three was always going to be something of a mess on the first lap. And, sure enough, there was an incident; a car got hit, went wide and hit me. That contact damaged my front wing endplate. It didn't really cause me too much of a problem in terms of staying with the cars in front, but it really started to hurt the temperatures, so we had to pit for a new nosebox on lap four. That cost me a bit of time. "Our pace on the Prime tyre was very good, however, and I was able to run two strong stints on the Prime to stay in the hunt. During my second pitstop, the [pit-release] lights went green then went red again, so I briefly stopped as a precaution straight after I was released. I had a quick look behind me to check that everything was okay - everything seemed fine, so I continued. Considering those delays, eighth place wasn't a bad result. "Still, I was a bit gutted to lose seventh right at the end of the race. As soon as I lost the DRS to the bunch of cars in front, that was it for me: I couldn't get any temperature back in the tyres. It was always going to be difficult with Nico [Rosberg] at the end: his tyres were almost 10 laps fresher than mine. I did 33 laps on my final set, whereas the previous set did 18! I'm really happy to have picked up those points - four points were about as good as it was going to get today." Sergio Perez: "We definitely deserved more today - we were very unlucky. With regards to my tyre delamination, although that particular set was already quite old, I braked at the same point as normal and got a flat-spot from the lock-up. I'd done 21 laps with that set, when, all of a sudden, the front-right just exploded, destroying the front wing. "It was lucky, because there weren't any other cars around me. Still, from a team point of view, it's very disappointing for a single incident like this to destroy the good progress we'd made all weekend. "Regarding Felipe, we were racing very hard trying to get some points - on one occasion, I thought he was going to leave me more space, then he turned in, I tried to brake and we touched a little bit. On the second incident, I thought I had the corner. I'm pleased that the stewards felt there was no need for any further action - it was just racing." Martin Whitmarsh, Team Principal: "Sometimes, it takes a difficult race to bring out the strengths of our people - and I'm pleased that, despite our drivers enduring a puncture and two nosebox changes this afternoon, we still managed to get both Jenson and Checo into the points. "That was achieved through a combination of great tactics - our strategists worked on the fly to ensure Jenson recovered superbly from an earlier-than-planned stop to replace a damaged front wing; well-executed teamwork - our mechanics performed brilliantly under pressure to replace two broken front wings and a severely delaminated front tyre; and great driver focus - Jenson drove a scarcely believable 33-lap stint on one set of tyres, effectively turning his race into a one-stopper, and Checo showed great racing spirit to take the battle to those around him after a delamination destroyed his right-front tyre and his front wing. "To incorporate all those setbacks into a single afternoon, yet still run competitively, is a great bonus to the team. And while the final classification may only show we finished eighth and 10th, those bald facts cruelly fail to do justice to the way we overcame adversity on our way to those positions. 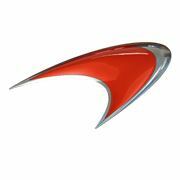 "Although fighting for minor points finishes isn't really what we expect at Vodafone McLaren Mercedes, today's results were greatly deserved after a day of extreme difficulty."